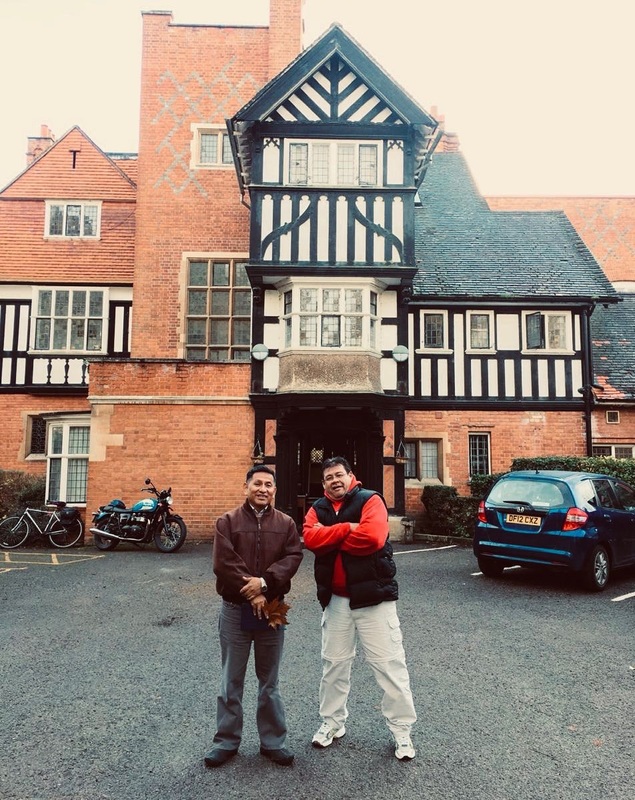 The two Davids completing a residential training placement at Yeldall Manor, a centre of excellence in terms of Christian addiction treatment and the start-point for much of the Novō appraoch and programme. 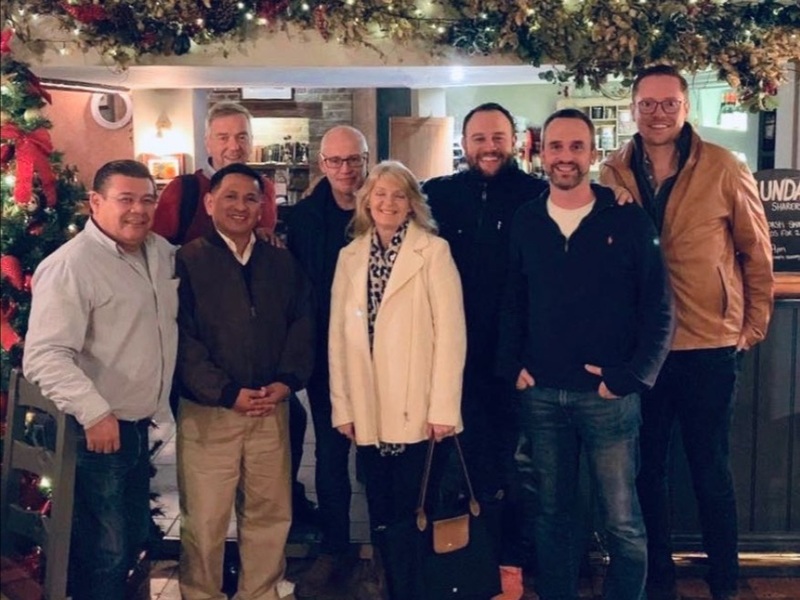 Andy & Warren spending time face to face with UK trustees, supporters and new contacts in order to promote both Novō Communities and Novō Adventures. It turned out to be a spectacular trip which was both instructive and encouraging! ‘The Two Davids’ (as they are now affectionately known in the UK) were immersed in the life of Yeldall Manor. 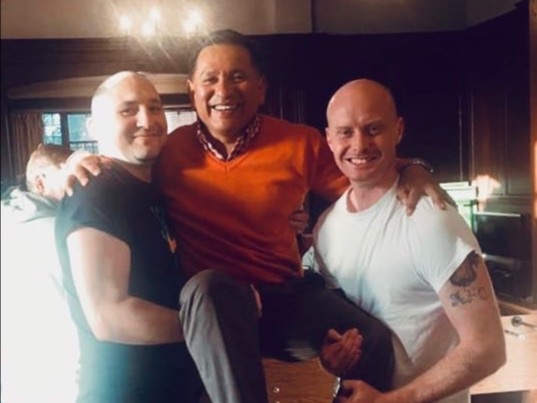 They connected with the residents, met with staff one-to-one, saw Yeldall’s second-stage and aftercare work first-hand, sat-in on staff meetings and therapeutic groups, and attended one of Yeldall’s Celebration/Graduation nights – as well as spending a day in London! 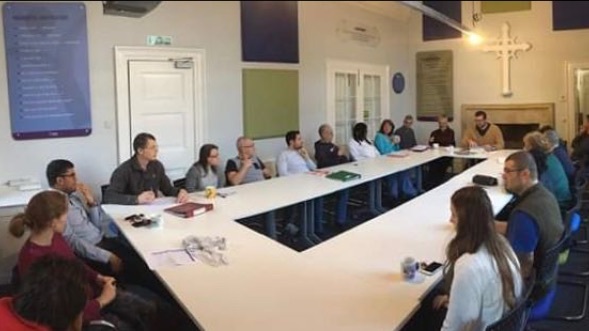 The promotional aspect of the trip was a chance to update supporters face-to-face on how things have developed over the last year, communicate the practical impact of the work, engage with questions and ideas, and share Novo’s goals for 2019-2020. The infographic below captures something of that impact. In so doing it also expresses in ‘nuts and bolts’ terms what transformational community is all about: Christ’s love expressed through a dynamic community of acceptance, grace, healing, second-chances, and abundant life. As we look to the future, our goals are all about being able to offer healing, wholeness and hope to an ever-increasing number of hurting and broken people. Novō has never been about creating one project. Our vision is to empower God’s people throughout the developing world to establish transformative communities wherever there is need. 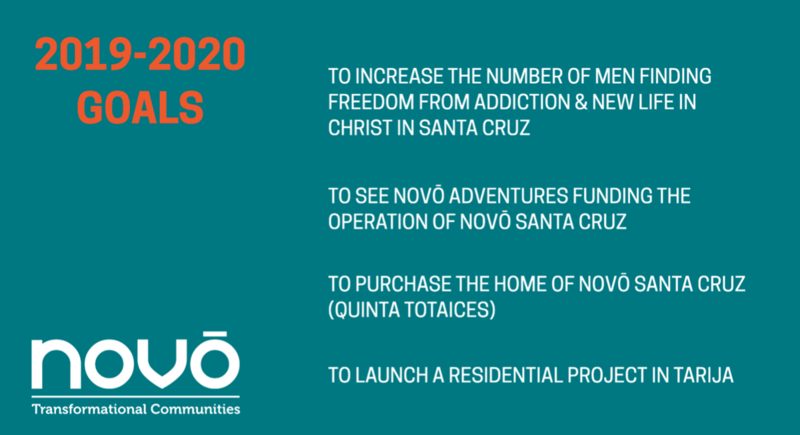 Each of the four goals below are pointed towards moving Novō closer to being a community of communities – a multiplying movement to respond to what is, tragically, a multiplying problem. Each of the goals also stretches our faith. 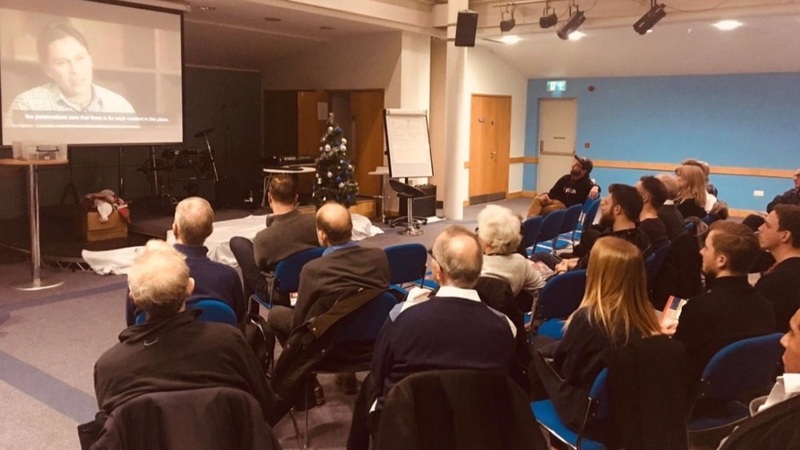 As such, as leaders and trustees of Novō, we are striking-out into 2019 prayerfully – coming together before God in a spirit of submission to Him, dependence on Him, and confidence in Him. We believe these goals are inspired by God. We also know that, albeit through a multitude of means, they can only be delivered by God. At the beginning of a new year can we ask you to stand with us in prayer in relation to the four goals above? If Novo’s vision and work stir can we also ask you to partner financially with us? During the course of 2018 we need to raise a monthly minimum of £9,000GBP / $15,000CAD / $12,000USD to operate in Santa Cruz and Tarija. Around 10% of our budget of is covered by regular monthly giving so we are very much dependent on one-off donations – and eager to see regular giving increase!! We are also, as you can see, dependent on one-time gifts both to cover regular operating expenses and in relation to strategic projects such as Novō Adventures (a minimum of $150k USD required over the next 3 months) and the purchase Quinta Totaices ($700k USD). The information you need to begin donating to Novō is found in the blue boxes below. Please also free to get in touch directly if you would like to talk about supporting Novō. 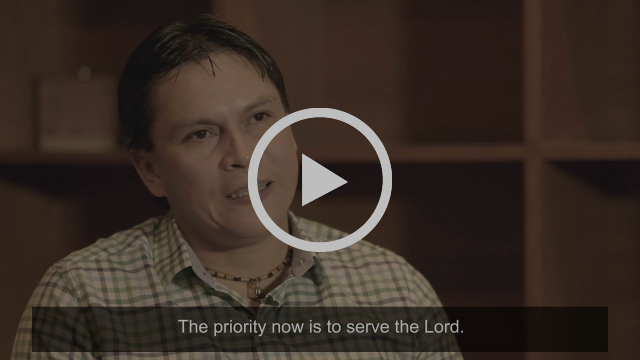 In closing we want to share Jaime’s story with you. After years in addiction, and a story marked by shame and failed relationships, Jaime graduated in June and is now working as part of the Novō Adventures team.